We are looking for proactive & experienced professionals in the field of Sales, Training, Human Resources at various levels for our Corporate Office at Noida and Branch offices at Lucknow, Kanpur & Patna. Professionals with a strong customer service focus with a sense of pride & ownership, have excellent attention to detail and want to be part of the growing organisation are welcome. Well established real estate company looking for the services of proactive professionals in the field of Sales, Training, Human Resources in various levels to work in their close knit team at Noida, Lucknow & Patna. If you are a proactive person with a strong customer service focus, take pride and ownership in your contribution, have excellent attention to detail and want to be part of a growing organisation this could be your next long term role. 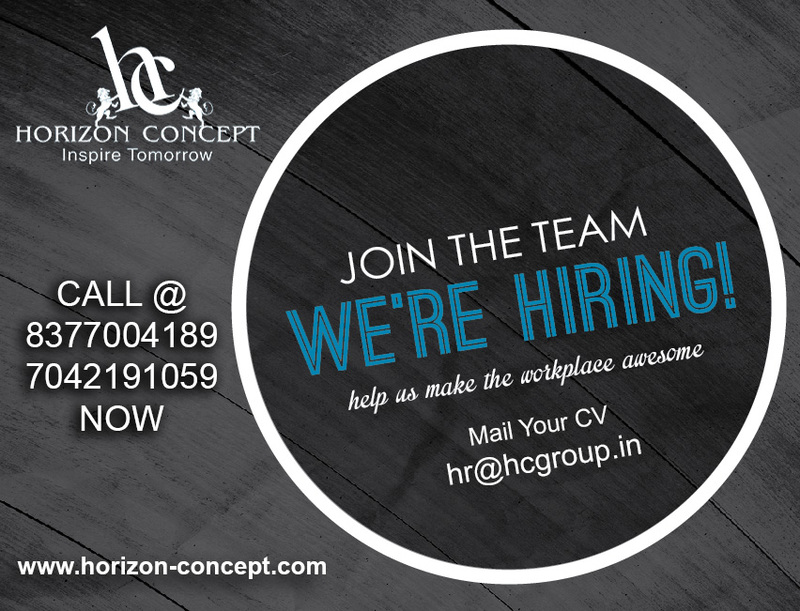 Please email your CV to hr@horizon-concept.com or call 8377004189 for further information.